When cold temperatures arrive in Littleton, Lakewood, Centennial, Highlands Ranch & Englewood, CO, Steel T Heating & Air Conditioning has the knowledge and on-the-job experience to keep your home warm, safe and comfortable all season long. Our award winning team of heating technicians install industry-leading systems and replacement parts, and provide 24-hour repair service. As a four time recipient of the Carrier President’s Award, we are the preferred choice for heating companies in the Denver Metro Region. When it comes to your indoor comfort, don’t settle for less than professional service from Steel T Heating & Air Conditioning. When you contact Steel T Heating & Air Conditioning for heating system installation, you can expect expert workmanship and customer service. Our installation technicians are NATE-Certified, and have Factory Authorized training and product knowledge to meet your unique indoor comfort needs. We install heat pumps, ductless HVAC systems and traditional furnaces from the industry’s leading manufacturers. Our team is committed to providing accurate heating installation that starts with precise sizing and product recommendations. 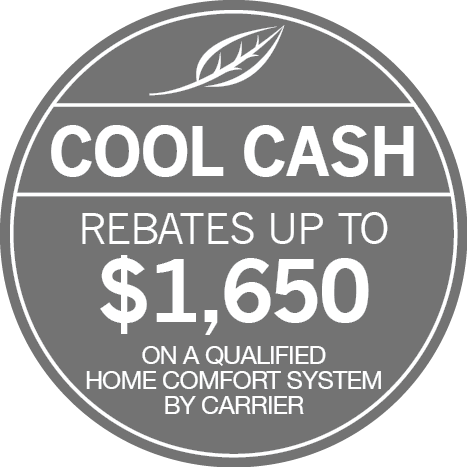 Plus, we offer free estimates on service and flexible financing options with approved credit. Schedule an appointment with Denver’s heating installation experts today. Heating Repair & Service – Call us Anytime! If your heating system is failing to meet your personal comfort standards, call Steel T Heating & Air Conditioning! Frequent temperature swings, excess moisture and squealing sounds are all warning signs of an inefficient furnace or heating system. If ignored, these minor issues can lead to costly system repairs, as well as risk your health and safety. The team of heating specialists from Steel T Heating & Air Conditioning repair all major heating brands and models. We also offer emergency heating repair in and around the Denver Metro Region. Call us anytime, day or night! While break downs are unpredictable, they’re often preventable through regular heating system maintenance. Our team of heating contractors will clean and inspect your furnace or heat pump to improving the unit’s overall functionality, longevity and efficiency. Contact Steel T Heating & Air Conditioning for preventative heating service in Littleton, Lakewood, Centennial, Highlands Ranch & Englewood, CO.